We are huge fans of Disney here, and visited Disney Land Paris in May for the first time. Although it rained and rained, we absolutely loved it and can’t wait to go back. I have never been to Florida, but Mummy and my eldest sister have been three times, and my bro and other sister have been twice. Have you ever been to Disney Land? Which Disney Park would you like to visit? I’ve only been to the one in Paris so far, would love to visit the one in Florida too sometime. We are keen to visit DLP next year if we can afford it. I think a trip to America for the five of us would be too much though. We’re hoping to go to the U.S. next year as a big trip with all the little ones in our family! Just in the planning stages. But, I love the fact that Paris is just on our doorstep, so I’d love to take B there! I am very fortunate to have enjoyed several trips to Walt Disney World in Orlando. It is truly amazing there with so much to do and awesome weather. We have not been able to go for a while now because my son requires toilet facilities with a hoist and they don’t currently have them. But, Disney being Disney, they are looking into installing them throughout their parks so I am hopeful that we can go again soon! Very interesting read! 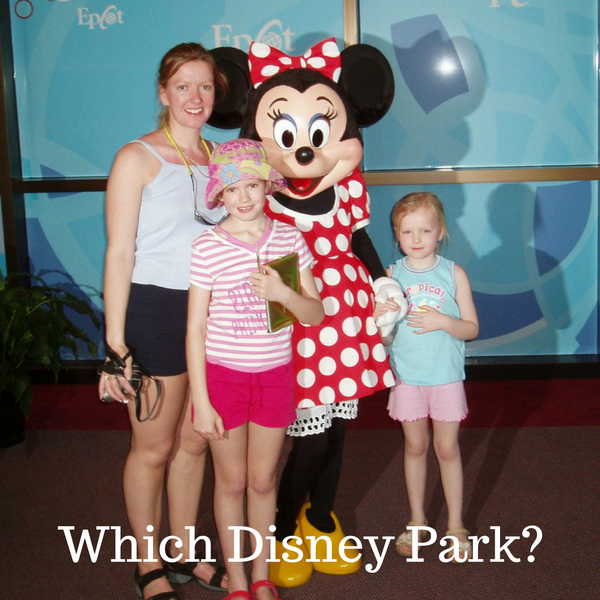 I have no idea which park to go to and I really want to plan a family holiday to Disney for my little one. Disneyland Paris is my most visted park and I love it to bits! I’ve been to Walt Disney World twice and it’s phenomenal, but I know it has very much changed a lot since I last went there – we always plan to go back! Personally, I’d love to visit every Disney park in the world someday as well as the resort in Hawaii and take a trip on one of the Disney Cruises. I love Disney and really want to take my kids to one of them! Best get saving! We did Paris which was great but we were dismayed to learn afterwards that we could have done Florida for the same price. I suppose we live and learn. Any must be great for a Disney-lover, but I wouldn’t be surprised if Florida was especially magical.